Chamangwana: Picks up new role at Nomads. Mighty Wanderers have appointed former Malawi national football team assistant coach, Jack Chamangwana, as technical director. Chamangwana has replaced Yasin Osman who, according to the club’s general secretary, Mike Butao, resigned about three months ago. 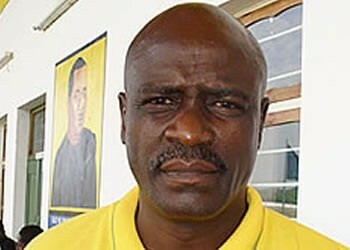 “Yes indeed we have appointed Jack Chamangwana as our new technical director,” said Butao. The Lali Lubani side general secretary further disclosed that Osman excused himself from the club saying he has a project to do. “He left us before the kickoff of the second round of Super League and was saying has another project to do,” said Butao. Chamangwana has been on a break after he was dismissed from the Flames alongside Silver Strikers technical director, Young Chimodzi, who was head Coach. Kananji is a scapegoat.He is a good coach and he has tried.Believe you me,Nomads will have a rough ride next season.The move is sinister. Kananji,Chamangwana,Yasin Osman,Edington Ngonamo Eish ndakayika ma player amva zandani all r gud coaches atatu akochapo flames koma yaaaa tiziona limodzi azingolowa iwowo bwaa? Hmmm! Uyu Neba akufunika devine intervention I can prophesy! Iz nde oposit yen yen. Kkkkkk Elia Kananji be on the look out Chamangwana cant be vice coach serious! Wathawa Yassin, chifukwa ma Noma ndi iligatiion (religation) imeneyi kunena kwa (Yona Malunga)sakufuna kukamenya ku division one.